I’m always looking to create any sort of sweetness to my life for those late night cravings. I’m the kind of girl who has to have something sweet after dinner. But I obviously don’t want to go to heavy. I created this treat and eat it so much now at night. Calories are super low and it makes you satisfied. I call this my peanut butter strawberry delight! 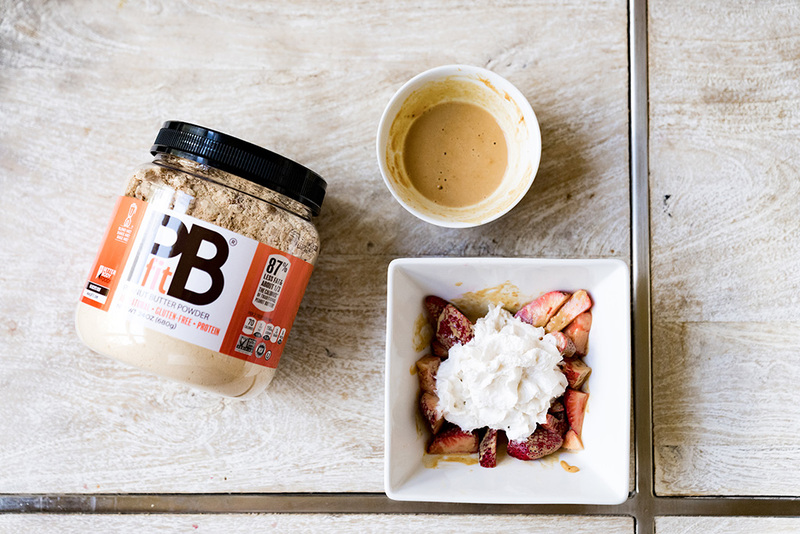 PBFIT is the best way to get the yummy taste of peanut in without all the fat and calories. Don’t get me wrong those fats are good for you, but not a lot. So PBFIT has been a huge game changer for me lately because I love my peanut butter. You can get this at BETTER BODY FOODS. I love this company so much. The people behind the brand are amazing. Check them out! Wash and cut strawberries, then set aside in a bowl. In a small bowl add 2 tbsp PBFIT and about 2 tbsp water. Mix together. Should be creamy and slightly runny. 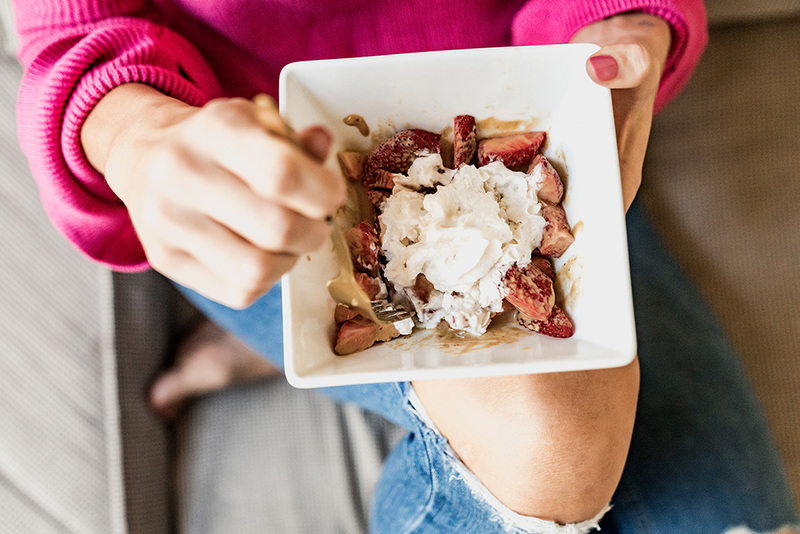 Add PBFIT to your strawberries, then add your whip! Super easy to make and yet so good! 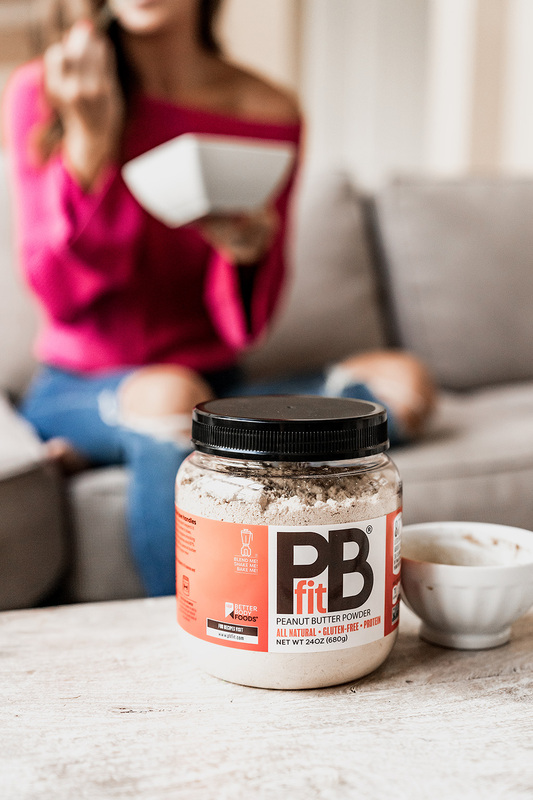 I love adding PBFIT to my smoothies for extra flavor and protein.